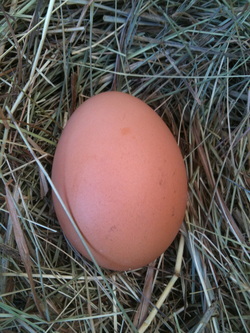 This is a free-range chicken egg. 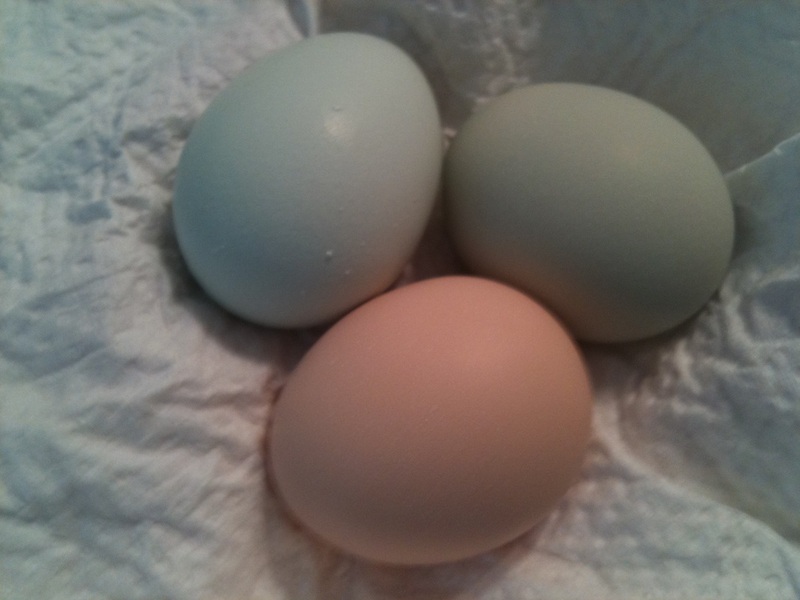 Some of our hens lay brown eggs, and some lay green eggs. Some of the eggs are olive green.